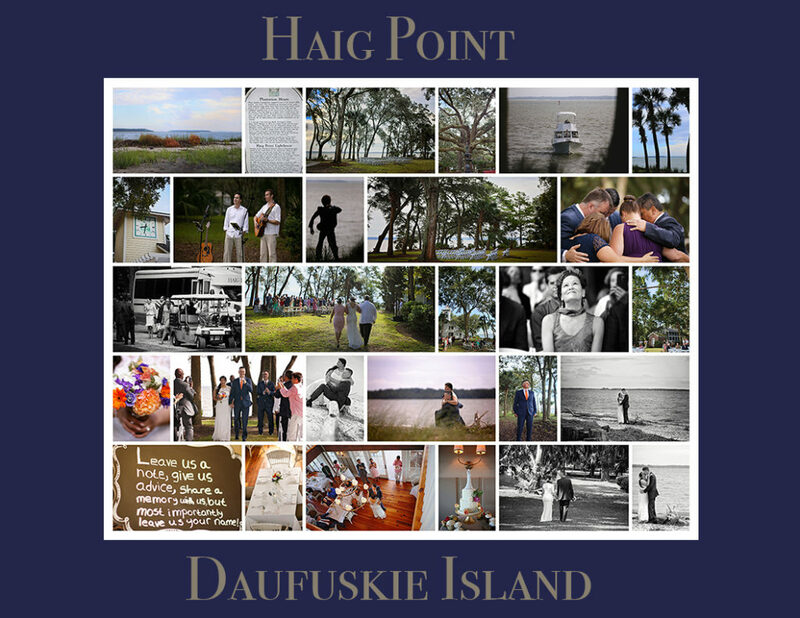 Haig Point, a private club and community located on Daufuskie Island off the coast of South Carolina, is a gem of the Sea Islands. Located between Hilton Head Island, South Carolina and Savannah, Georgia, Haig Point is only accessible by private ferry departing from Hilton Head Island. All residents and their guest make their way around this majestic community by electric powered golf carts. With first-class amenities and recreation, multiple historic points of interest and unparalleled water views, Haig Point is an ideal location to host your most special day. Haig Point has 1100 picturesque unspoiled acres and is bordered by the Atlantic Ocean, Calibogue Sound and Cooper River. Our ceremony and reception locations give you the opportunity experience breathtaking sunsets under the shade of ancient live oaks trees without the din of motor traffic. It’s a world-renowned location for your once in a lifetime moment. Leave the mainland behind and welcome your guests to our serene island community!